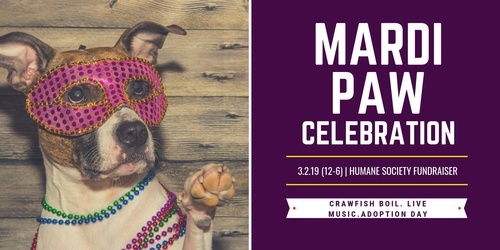 Lost Hiker Brewing Company is super excited about Mardi Paw! It's going to be a blast. Crawfish boil, live music, adoption day for Lincoln County Humane Society dogs, and a special release brew just for this event! They will be hosting a pooch adoption from 2-6 pm. If you can't take home a pooch, there are plenty of other ways to help out. Tickets are available EventBrite.com for only $25. Proceeds go to Humane Society of Lincoln County.